This is one of the easiest dessert recipes out there, and it produces a decadent, crowd-pleasing dish every time I make it. 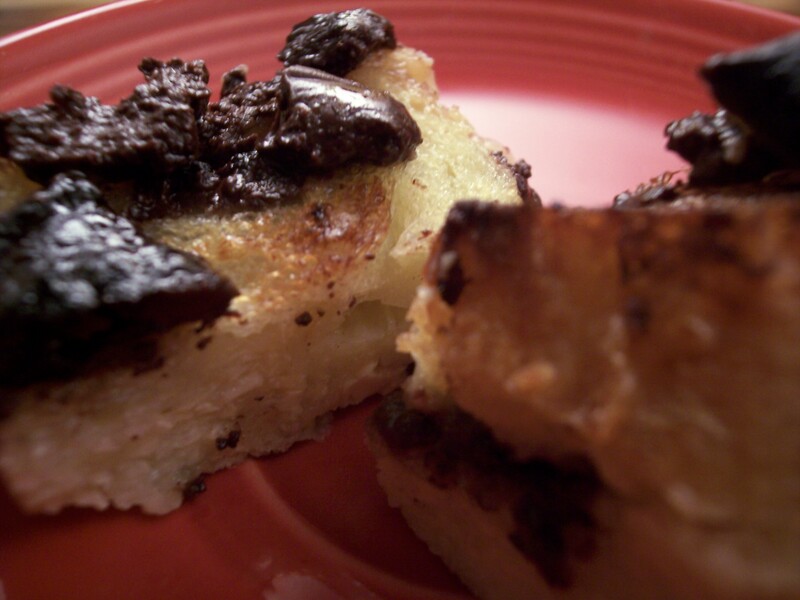 Chocolate bread pudding has become a signature dish, one that friends request over and over. It was inspired by a recipe I read in Sunset Magazine, but I have tweaked it over the years to boost the chocolate flavor. Butter 8 inch square baking dish. Layer bread slices in dish. Add sugar and salt. Whisk until incorporated. Pour liquid mixture over bread. Tuck chocolate pieces under bread slices, leaving a few for the top of the dish. Bake at 350 degrees for 30 minutes, or until the custard is firm and the top of the dish has turned golden brown. Lordy lordy I love your blog, Katie! This looks fabulous.